We’ve gone on holiday by mistake. We’re in this cottage here. 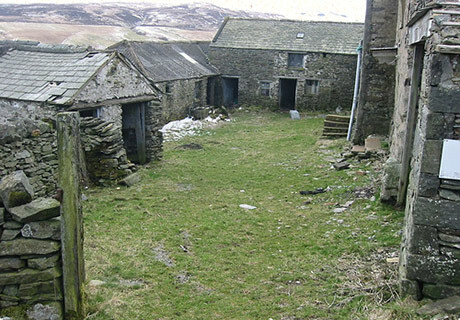 The remote Cumbrian farm used as location for Uncle Monty’s cottage in the Film Withnail and I is up for auction next month! 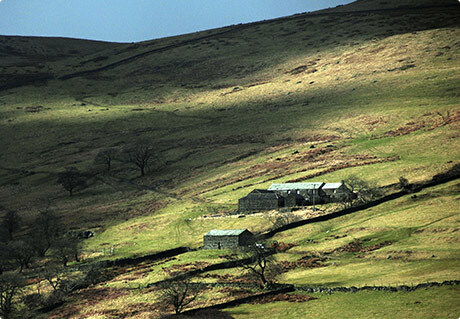 It’s called Sleddale Hall and is near Shap (which is near bloody Penrith), the visit Cumbria site has more info. I don’t think it’s been lived in since the 1920’s (when a water utilities company bought it and surrounding land to build a reservoir) other than few Withnail and I fans paying homage to their favourite film. The place is run down to say the least, love the grass growing in the yard though. But with an guide price of only £145,000 feels fairly cheap to me, well compared to London prices… Great location, I recon you could just about walk straight from the house (early), climb Helvellyn and then be back home before dark. Personally I’d love to buy it, although I don’t reckon the bank will be too keen on the idea. The auction is being run by Savills, although I can’t find any reference on their site, click here to register for a catalogue. Jan 21	This entry was posted in Stuff to Buy by cookie. Bookmark the permalink. I reckon you’re in with a great chance. The fans are grouping together and fighting the masses of celebrity interest to keep the house amongst the fans. Have a gander at the website and see what you think!